Opposition MPs in PNG have slammed the government for awarding a major roads contract to a company they say is owned by Cabinet ministers (FT 9/12/15). 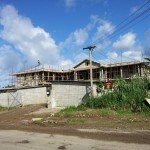 PNG Opposition Leader Dan Polye claimed that the company (Global Construction) has been awarded most of the roading projects in the city, labelling it as “corruption at its highest levels”. Do we see a parallel to it here in most government contracts for roads, bridges and other construction projects being awarded to a foreign conglomerate with very close connections to our top gun? In the past two years, almost all of our major public works contracts have gone to this octopus of a company with several tentacles. 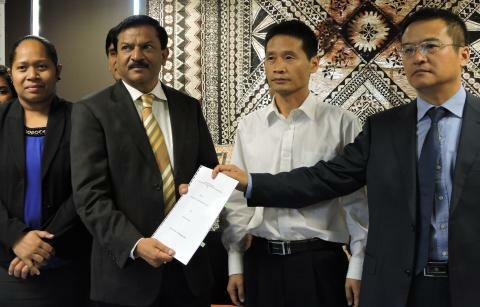 The initial Suva-Nausori contract awarded to China Railway (1st) Group to upgrade just 9 km of the Kings Road from Caqiri to Pilling Road and from Makoi Road to Omkar Road’ alone is worth $34.4m. Note it is upgrading existing roads and not constructing new roads. Those of us who drive along the Suva-Nausori Highway frequently will notice just how messy the entire project appears to be. In almost two years since the project started, progress has been slow causing much inconvenience to motorists particularly during peak traffic hours. One often wonders whether the contractors know what they are doing. They don’t seem to have appropriate modern equipment for the road works – you see workmen standing around with shovels and spades using mostly worn out machinery. China Railway Fifth Engineering Group (CR5G) is upgrading the Wainibokasi Road from the roundabout at the town end to the Nausori Airport junction. CR5G has also been given the contract to do the ambitious new route linking Nadi Airport to Denarau through W ailoaloa Rd. 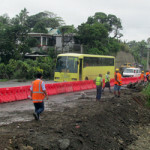 As well as the upgrading works on the Queens Road from the Wailoaloa Rd junction to Nadi Bridge. Significant cost over-runs have characterized most of the projects undertaken by this company. Case in point- the Ra Bridge costing a shocking $14m and the PRB housing development project in Raiwai – the cost of which went up from $9 to $19m . How then does China Railway end up getting all these lucrative contracts? 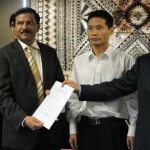 Just this week it was announced that China Railway 14 has been awarded the contract for the Stinson Parade and Vatuwaqa Bridges in Suva – to be built with a $30m grant from China. To date a total of 10 contracts awarded to China Railway and its various tentacles from 2010 onwards are valued at around $630 million. Going by CRG’s record to date, a number of these projects, still under construction such as the Suva/Nadi road upgrade, are most likely to grossly over-run its budget. We know that China Railway has very close connections with the top hierarchy in Cabinet. Two years ago the company was given valuable State land in a prime location in Suva, in breach of well established procedures, to build its headquarters and ancillary facilities. This land was previously leased to the RFMF but was re-leased to this company on specific orders from the Prime Minister’s office. 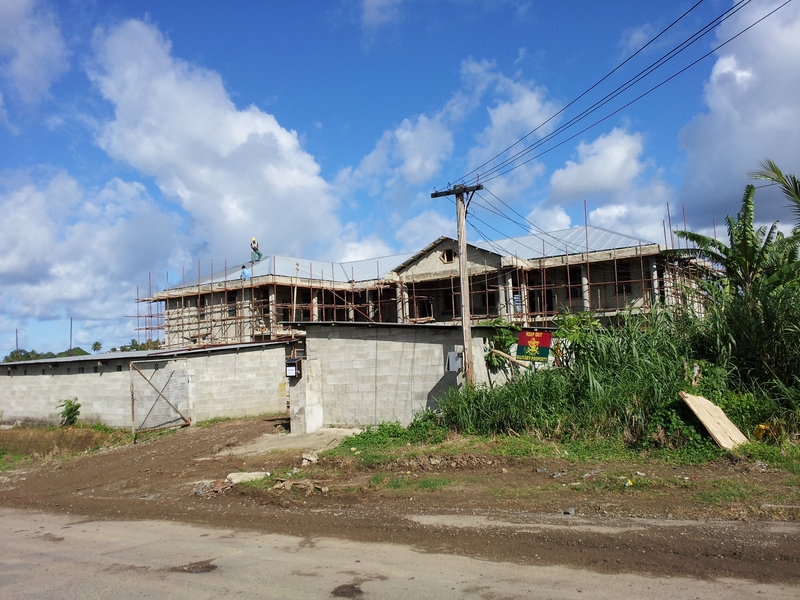 An impressive headquarters now stands on the site without plans being approved by the Town and Country Planning Office or the Suva City Council. The land is zoned for civic purposes but the development on it is classified as commercial/light industrial. The matter was reported for investigation to FICAC and the Police but both declined to proceed with it using the flimsy excuse of “insufficient evidence” when there is ample evidence of abuse of office and corrupt practices. Has someone at the top intervened to block the investigations? The question to ask is what is so special about China Railway? Why are local contractors not being awarded these major projects? After all, most of them have invested significantly in heavy machinery and plant in anticipation of some of these contracts. they end up being exploited as sub contractors to the big ones. The system has been so designed, and if they open their mouths, they are sure to be out of business altogether.